Tomorrow we start the new stalls! I bought the hinges and handles for the stalls today, and tonight I bought the new windows. I am really looking forward to seeing this project started! The last few weeks have been filled with craziness. I’ve been unable to blog about it due to the fact that my computer has crashed yet again. The hard drive is fried, which means that all of my barn documents, sales contracts, etc are lost……again. Nice. In the time I have been away, several things have happened. I gave Gus some time off. 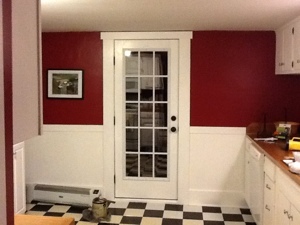 During his time off, I decided to paint my kitchen red. It took a little longer than I expected due to the fact that we decided to put in a new door. One thing led to another, and pretty soon I was knee deep in work. Thanksgiving happened right in the middle of it all, and then I got sick. After several boxes of kleenex and some sudafed later, the kitchen is finished. Elissa started texting me as soon as Gus’s 1st full week of break was over. She wanted me to come school at Masterson Station. I told her that I was too busy to come until the following week, and to tell you the truth, I was dreading it completely. 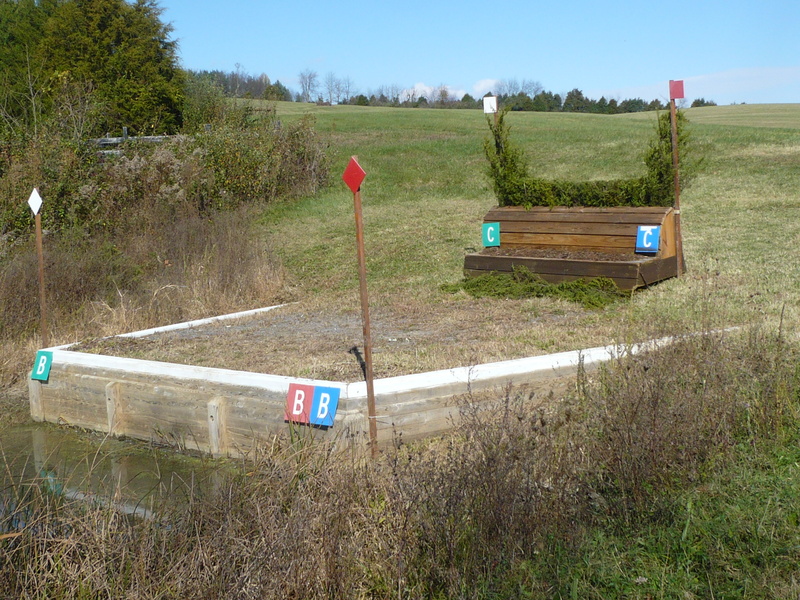 The goal was to recreate the problems we had on the xc course in virginia. I was a bit skeptical, but it worked. 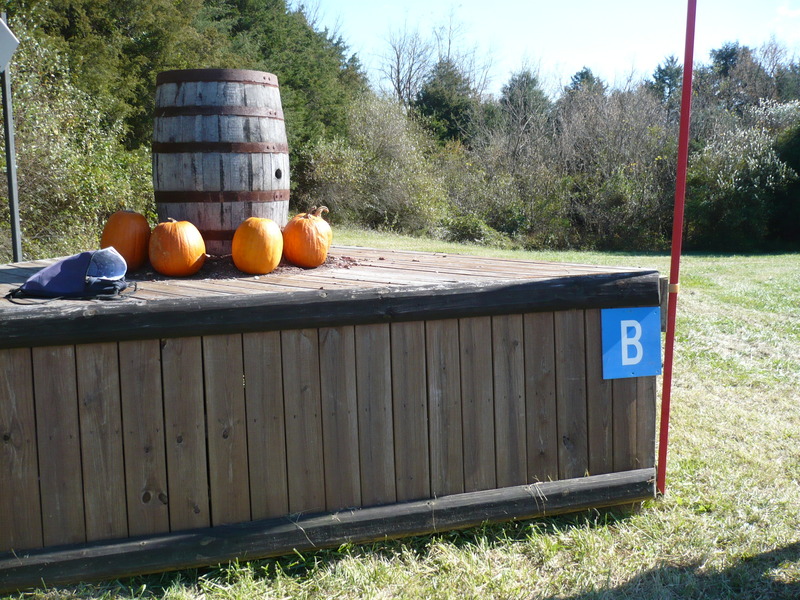 Elissa created some fences using barrels and the bank complex which Gus reacted to exactly as he had done in Virginia. 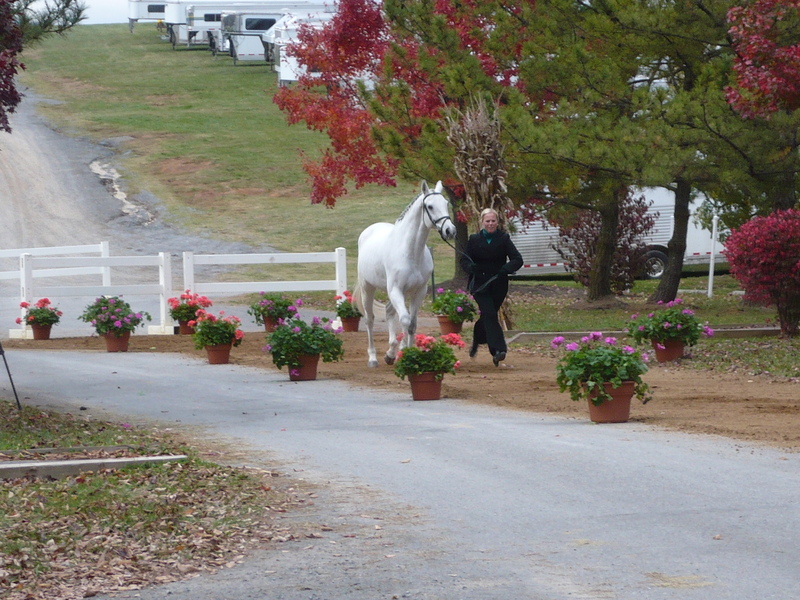 We were able to work out our issues, and I left the schooling feeling extremely positive about our future. Elissa convinced me that I needed to go to Florida with her this winter. The plan is in place for us to move back up to Intermediate by February. The plan is both exciting and scary. 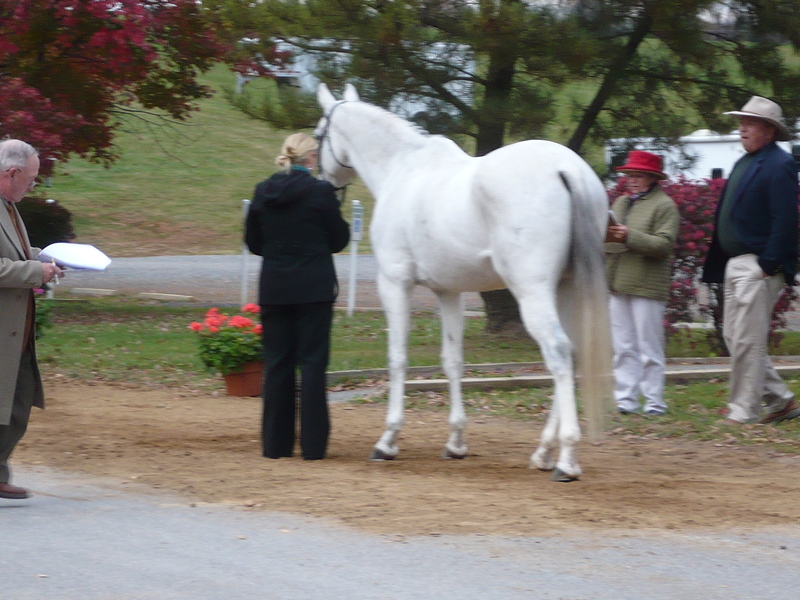 If all goes well, the possibility is there for us to go back down south to do a 2* in April……a very slim possibility. I decided during all of this mess to go ahead and get an ipad while I waited for my new computer to come. This is the first time I have been allowed to use it, which involved me prying my two children off of it with a stick. This is a stupid and uninspired blog, but a blog nonetheless. My head is too congested to think more creatively. After yet another computer crash……I’m back. I was so upset with him for not being braver to the downhill combinations. The thoughts flooded my head about how much money and time I had spent to get here only to feel like a huge failure. We had been so good up to that point in the course that I feel that we should have been able to make it around. 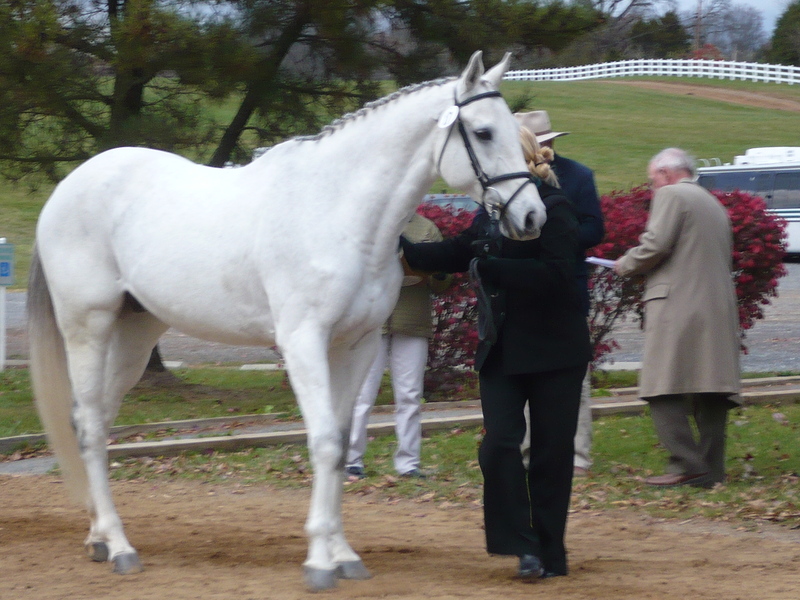 I was disappointed in Gus, and began to wonder if he has what it takes to get through technical courses that are expected of horses at the one star and intermediate levels. I feel that he lost his mind a bit when the area became congested with jumps. Instead of figuring it out piece by piece as he went, he chose to see the whole picture as a big scary mess and stop. Luckily, I was able to get him through both combinations before we were stopped on course. Otherwise, I would have been really worried that he would have carried this issue to the next show. I was feeling pretty upset about it all until I had time to think it through with food in my system. 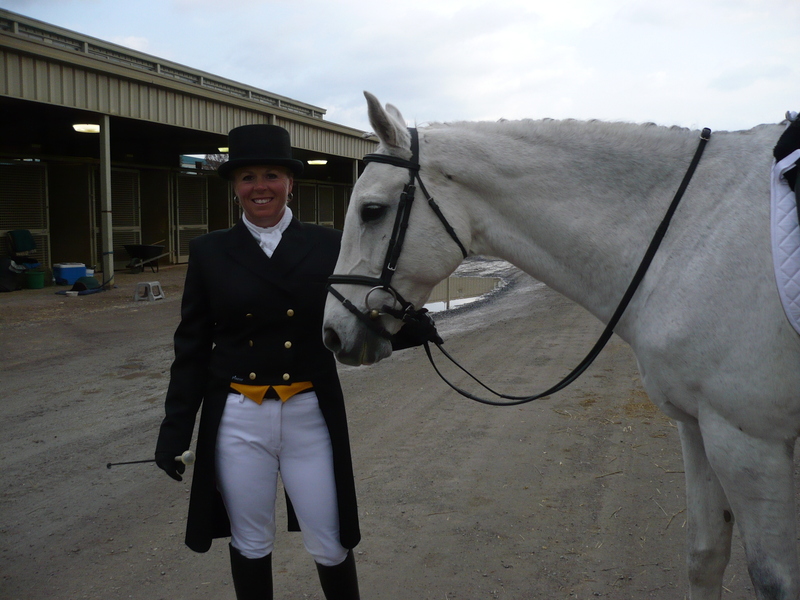 It also helped that Diana Rich came to my stall afterwards to talk to me about my ride. 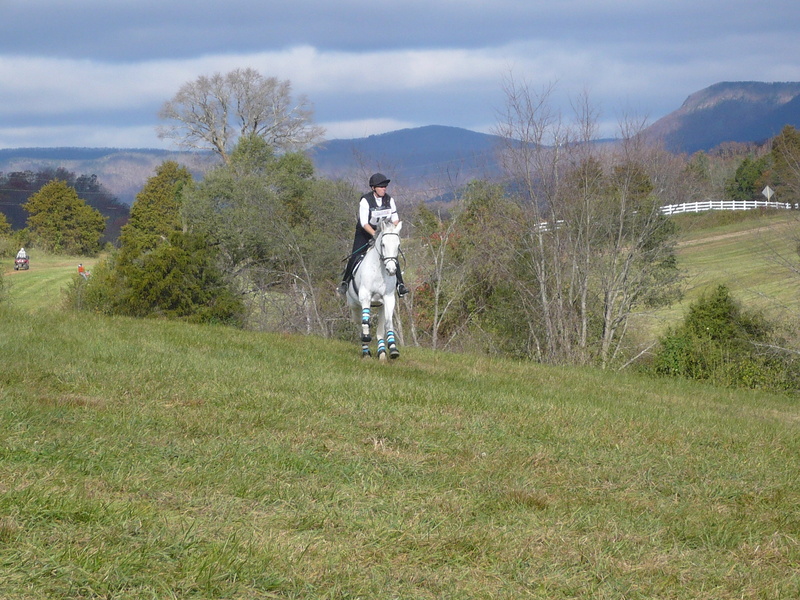 She had watched my course up to the part where we were eliminated, and she had some really nice things to say about how I had been riding. We talked about the fact that downhill issues are sometimes related to front end soundness. 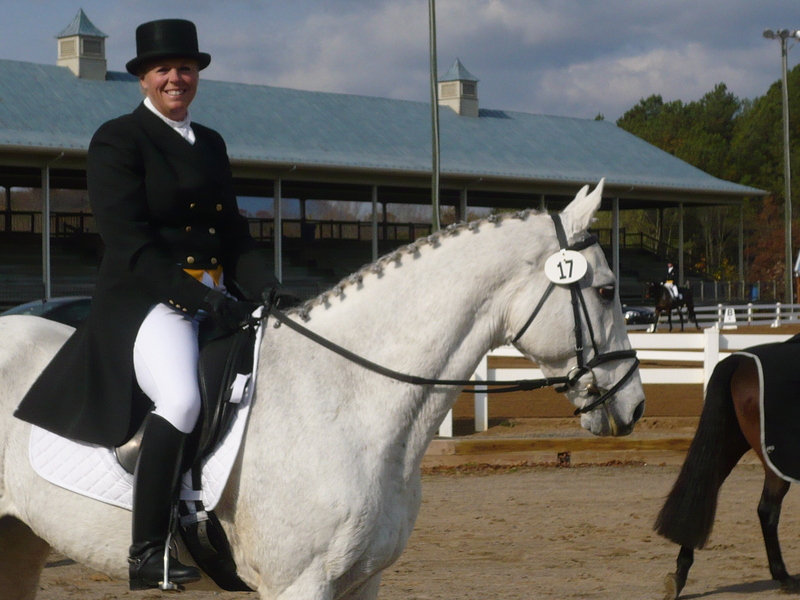 She told me that I can’t think of the weekend in terms of money lost or failure, but that it has been an investment in my education as a trainer, a rider, and an instructor. She was pleased with what she saw in my riding, and I was grateful to her for spending the time to come find me to talk about it. Elissa and I spoke in great lenght about it also. She’s not ready to quit on Gus yet, but feels that it is a matter of practicing that same question over and over again very soon. We will have to try to create it somewhere, seeing as there is nothing remotely similar to it in Ohio or Kentucky. After Gus was iced,wrapped, and fed for the day, we spent the day sight seeing. We ended up visiting Stonewall Jackson’s home, checking out the Virginia Military Institute, and driving around Lexington. It is a fantastic town, and if I were to be forced to move to Virginia, I would pick Lexington. With a feeling of failure fading into the back of my brain, I am beginning to feel my spirits rise. We are close to being able to do xc at this level. We are a piece away. I felt really strong as a rider today. 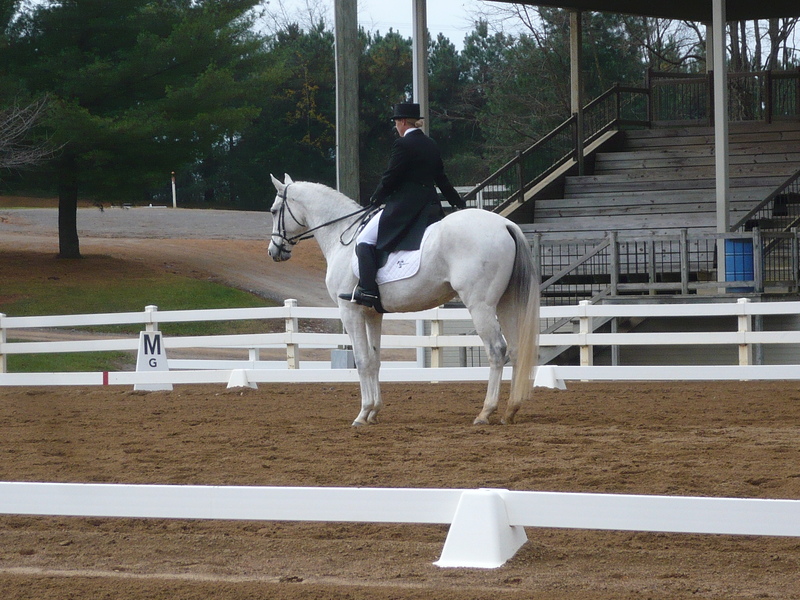 My dressage test was great. My stadium jumping is solid. We are close………..
Gus will get 2 weeks off. I will start walking him again for the 2 weeks after that. I am SOOOOOOO excited about having a little down time! I am also looking forward to getting back on Murphy. Will I be going to Florida this winter? I still have no idea……ask me in late December. 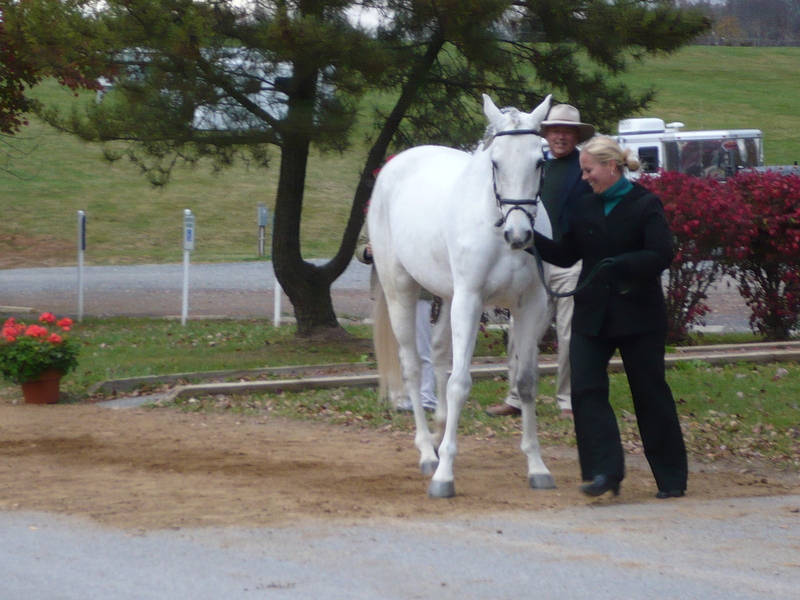 The first day of competition……..
We got to the barn early this morning to make sure we had enough time to fix Gus’s braids if necessary, bathe his legs and tail, and get him all ready for his dressage test at 11:02. Luckily, I only had to fix a few braids, and I was in my shadbelly and top hat by 10:30. I had to get some help from Emily to get my stock tie tied correctly, but we were on time to warm up. 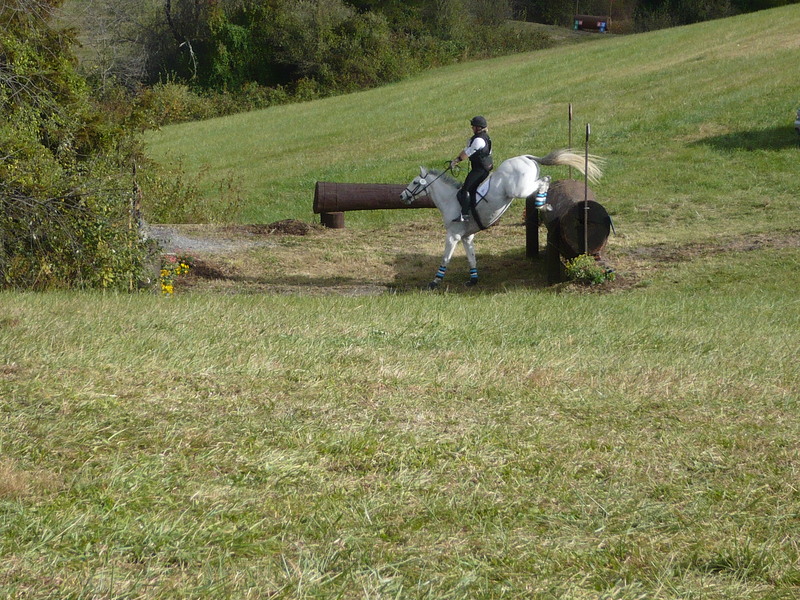 Kate and I walked the cross country course twice in a row, which nearly killed us. The hills here are insane. Our course is probably around 3 miles long, and took us over an hour each time. By the time we were finished with the second walk, we both wanted to cry. We made it back to the barn just in time to body clip Gus and throw his jumping tack on him. 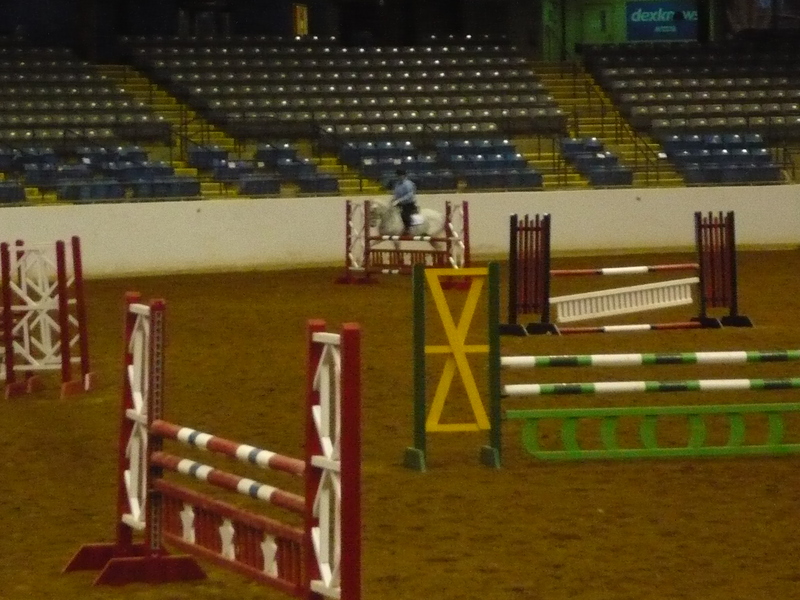 We entered a jumper class to get inside the coliseum so that Gus could see it before Sunday. He was really good in the coliseum, and we made it back to the barn by 7pm. I finished his clip job, wrapped his feet, and wrapped his legs while the rest of the crew packed up and cleaned his stall. We were at the pizza place by 8:00pm back to the hotel by 9:00. I couldn’t wait to take a shower and get the hair off of me! I still have some studying to do tonight before my 10:30 am cross country ride tomorrow. I’m so exhausted I can barely stand it. 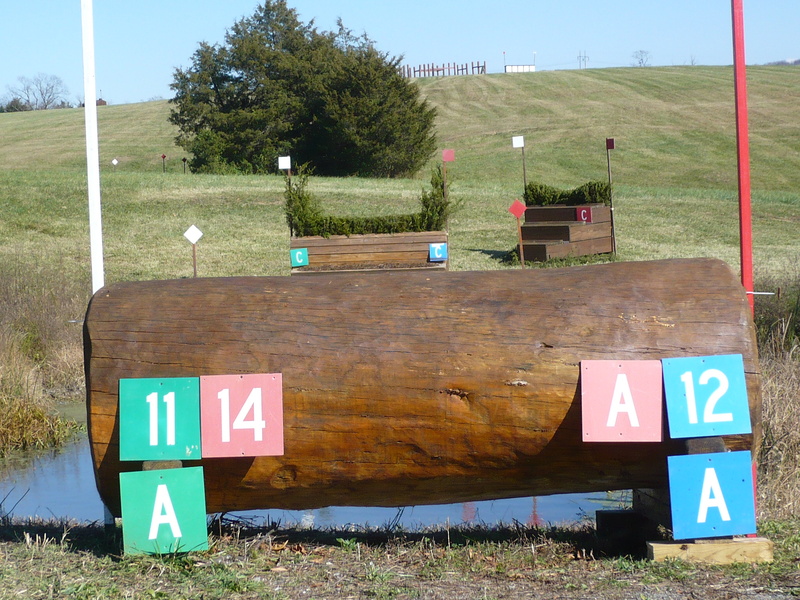 The course is big and hilly, but I feel that it will be a good one for Gus. I’m headed to bed…….and I can’t wait. Wade—waiting for Jeff to pay the bill at dinner. My thoughts exactly! We woke up at 4am this morning. While Jeff roused the kids out of their cozy beds, I ran down to the barn to get Gus ready. We were loaded and on the road by 4:30am. The trip was an interesting one. The mountains in West Virginia were covered with snow. There had to be at least 3 feet of snow in the Beckley area. Luckily, the crews had the roads cleared, but they were still salting as we drove through. We drove through rain, snow, and more rain before we reached the green grass of Virginia. It was actually pretty nice weather here all day. Our stalls are indoors, which is WAAAAAY better than I expected. Our stall is next to a heated indoor restroom…..also fantastic! 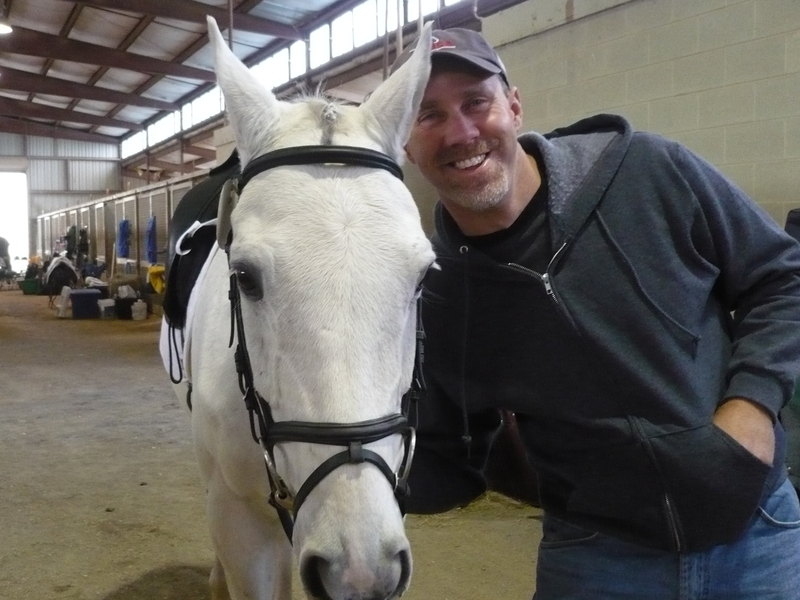 I took Gus out for a hack to check out layout of the park. 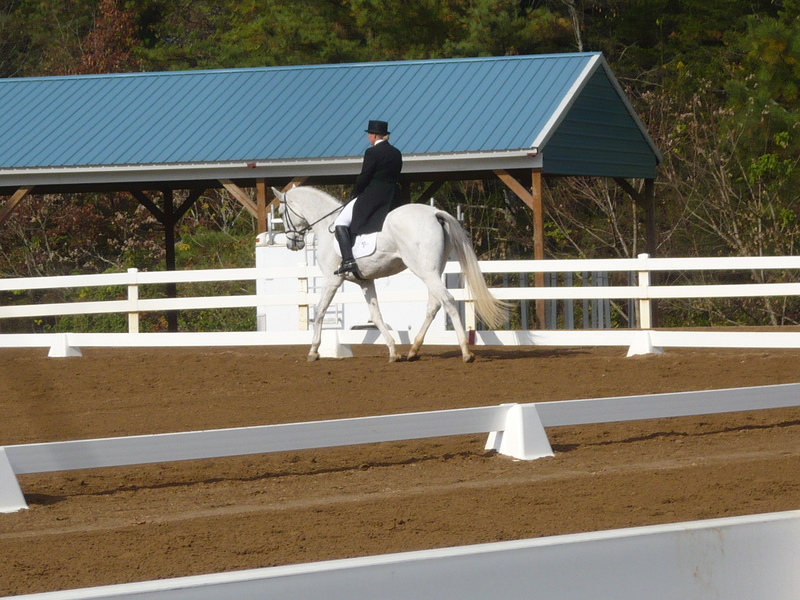 There are many arenas for warmup, a huge indoor coliseum (where we will do stadium), several dressage rings for competition, and a nice outdoor arena with a roof. It is a beautiful facility sort of tucked into the hills. I spent the next 2 hours gettting Gus cleaned up and braided for our first jog. We were officially “accepted” and allowed to compete tomorrow. 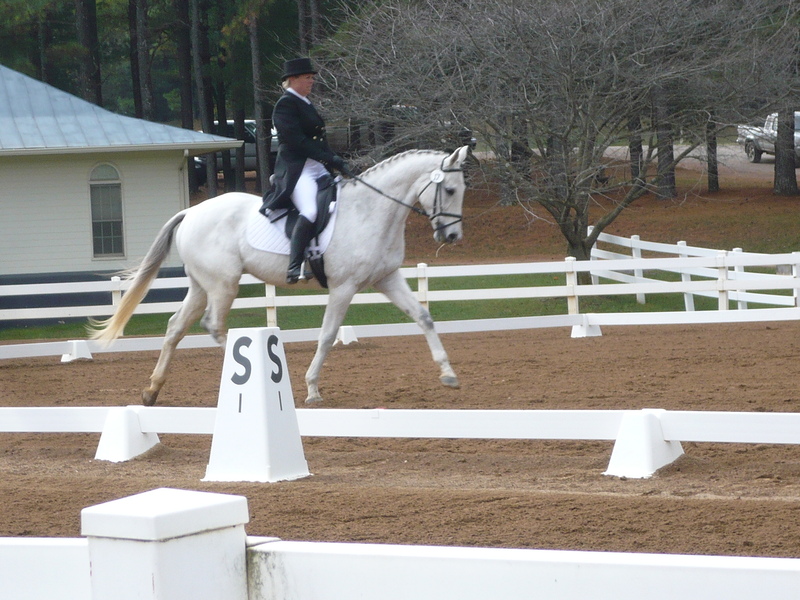 I tacked Gus up again so that I could take a dressage lesson with Elissa before we ended for the day. 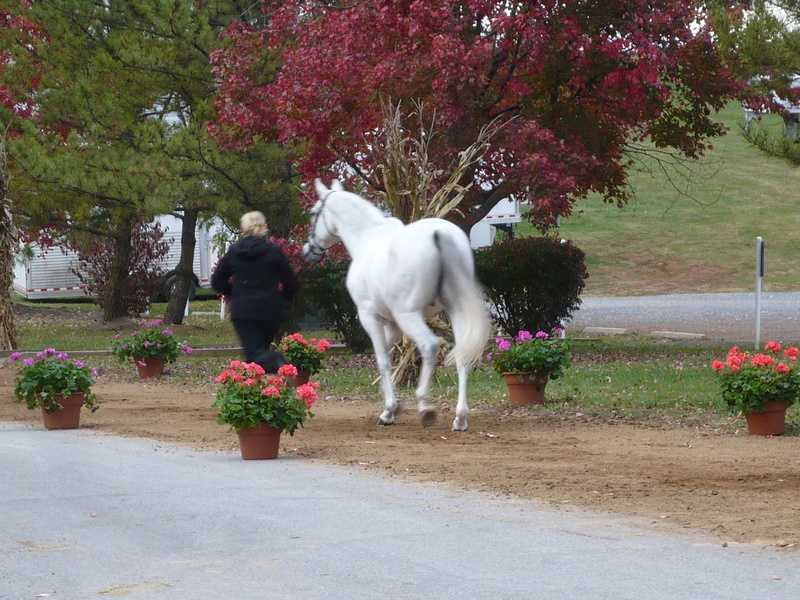 He was great, and I think she thinks he is very competitive if he shows up relaxed tomorrow. We’ll see! We are thoroughly exhausted, and we got back to the hotel at about 8:30pm—which gave Wade about an hour to jump from bed to bed before we shut him down for the night. Tomorrow I ride at 11:02am. 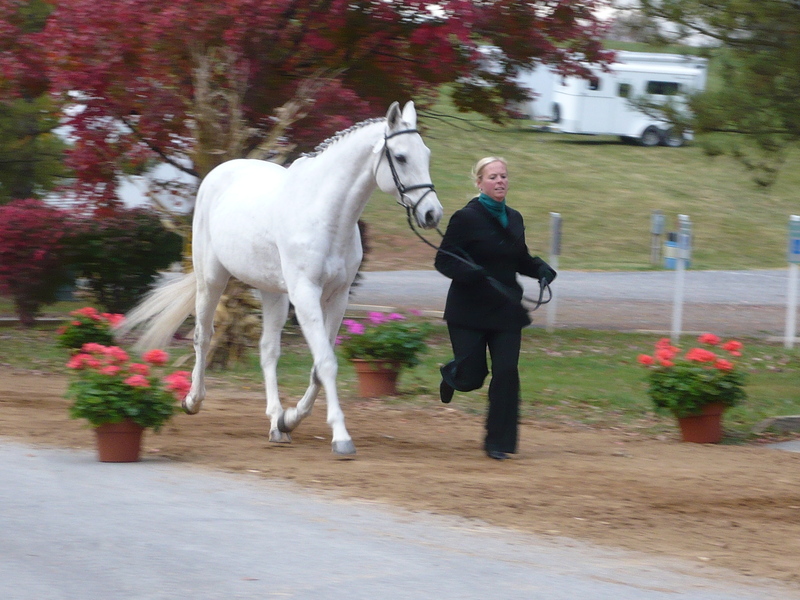 My division is filled with awesome horses and riders from all over the place. I get to compete against Boyd Martin on 3 different horses, Jennie Brannigan, and so many more. Emily Beshear is stabled across the aisle from me, and it has been great to catch up with her about Jaclyn and Rhyland. 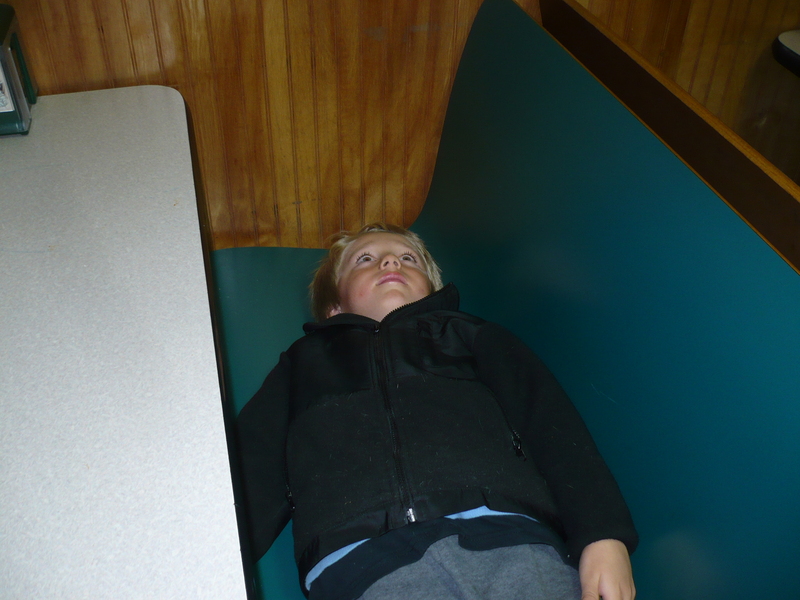 Tomorrow will come quickly…..time for bed.